Now more than ever, you need a real estate agent with an intense internet marketing plan. Team Gary Miller aggressively invests marketing dollars to secure enhanced, members-only, or premium placement of their listings on the industry's top websites. Furthermore, the Team's listings now appear on over two dozen websites to maximize their exposure. Listings will feature multiple high-quality interior and exterior photos and professional virtual tours whenever possible. Team Gary Miller's Internet Marketing Plan is one of the tools they use to successfully market more Pueblo County residential real estate than any other agent or team! Realtor.com: the number one viewed real estate website in the world. Gary invests in an upgraded marketing plan which allows him to post unlimited images, custom banners, custom extended property descriptions, eye catching graphics and much more. Remax.com: the world's number two real estate website. 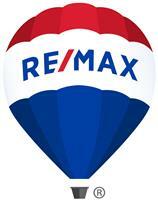 RE/MAX listings enjoy premium placement on this site. 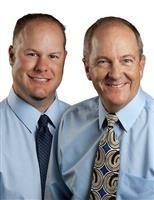 PuebloAreaHomes.com: RE/MAX Of Pueblo Inc.'s local website, promoted in conjunction with The Pueblo Chieftain. This site receives more than 30,000 visits a month. TeamGaryMiller.com: Gary's primary team website, focused on providing buyers with easy-to-use, accurate real estate shopping. Gary's New and Reduced listings appear as Featured Homes on this site. Pueblohomesandland.com is just one of Gary's web-sites. This site specializes in pushing his listings to search engines. Number1Expert.com: A national site that links to Gary's site when found on search engines. Only homes listed by agents with Number1Expert™ Top Selling Agent™ credentials will appear here. Homes.com: One of the fastest growing real estate sites with over 2.5 million homebuyers each month. Gary's listings enjoy Members-Only placement here. HarmonHomes.com: This site is promoted by Harmon Homes Magazine, with millions of readers coast-to-coast. Craigslist.org: The number one online classified site. All of Gary's homes are listed here. Geebo.com: "What you need, when you want it… geebo!" Immobel.com: "The #1 site on the Internet for Multilanguage real estate." Local.com: "Local.com is the fastest growing local search engine on the internet." Oodle.com: "The largest classified site in the United States area." Sell.com: "The alternative to eBay® and other auction sites." Bargain.com: "The Better Way to Buy and Sell Real Estate." CLRSearch: "We Know Real Estate Search." eRealInvestor: "The industry's first "one click away" financial analysis solution". GoogleBase: "Making your items as easy as possible for people to find when they search." HotPads: "The place to find your place." RealEstate: "Get the knowledge. Get the edge." PennySaver: "Online Classified Advertising from Sea to Shining Sea." Propsmart: "Real Estate Search + Community." Terabitz: "Every bit on real estate." TNOL: "Your source for local and national online classified listings." Vast: "The leading vertical search platform for autos, travel and real estate." Yahoo: "The world's largest global online network of integrated services with more than 500 million users worldwide." Zillow: "Your Edge in Real Estate."